SUK: Piano Quartet, Op. 1. 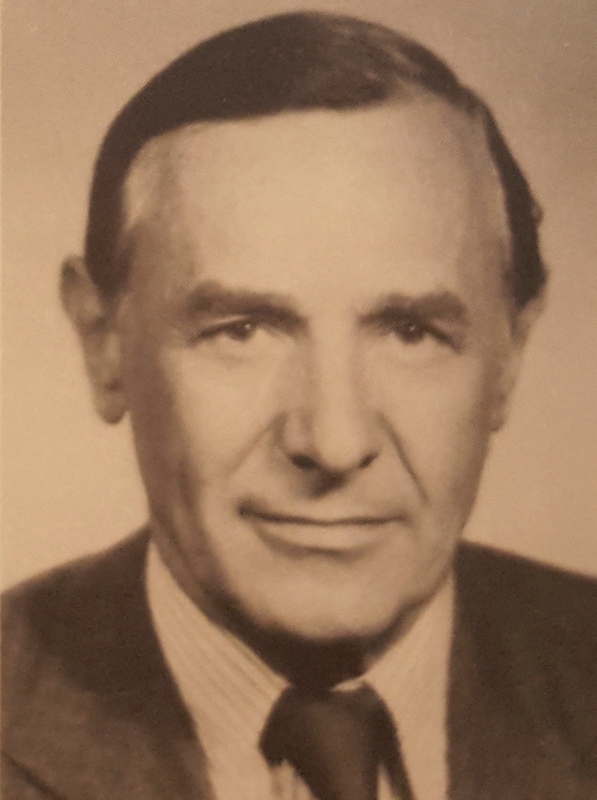 Walter Baranetsky (1920-2016) dedicated much of his life to supporting and leading the Ukrainian Institute of America through various phases of its history. He became an active member in 1977. In the 1990’s, Mr. Baranetsky served as President multiple times. His time as President coincided with his position as head of the non-profit Coordinating Committee to Aid Ukraine, and in this capacity, he established a large network of contacts in Ukraine. Walter was able to leverage these relationships to bring to the Ukrainian Institute renowned literary figures such as Ivan Drach, Dmytro Pavlychko and others, as well as Ukrainian government officials including President Kravchuk, who visited the Institute twice. 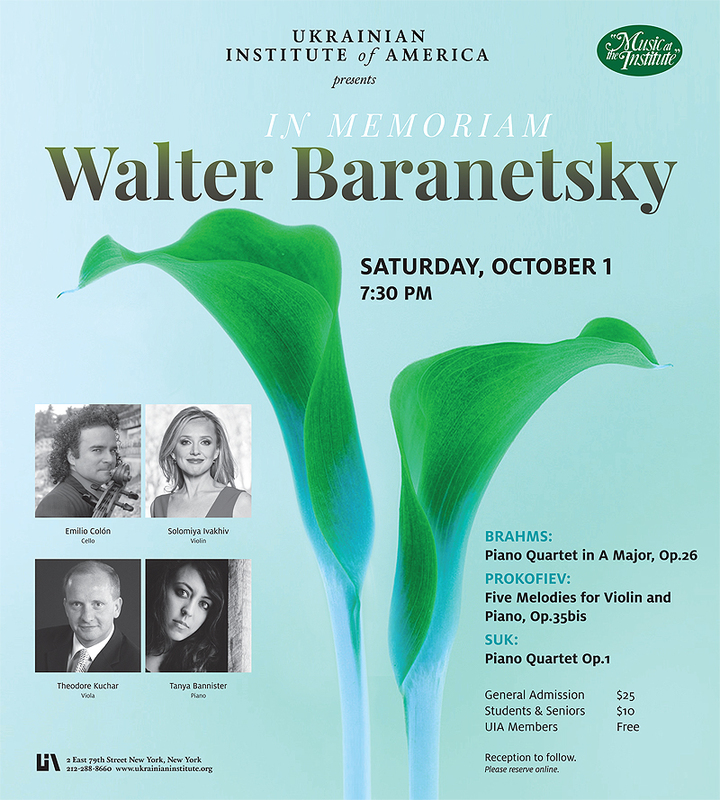 Mr. Baranetsky also provided invaluable philanthropic support for UIA initiatives and projects, especially to those involving the preservation of the Institute’s landmark building at 2 East 79th Street in New York City. The footprints that he left behind will have a lasting effect on our organization and on the Ukrainian community as a whole.